As a boy growing up in a Baptist home, this author was raised on the principles of the Holy Bible – the Word of God. I was taught that the real reason we celebrate the Christmas season is not that of the brightly colored lights, the beautifully decorated houses, and trees, or even the carefully wrapped packages under the Christmas tree. As we reflect upon the Christmas season that is upon us, let us pause to ask ourselves how we can be a light to the world this Christmas. As we make our preparations to celebrate another Christmas Day, let us not become so preoccupied with our activities that we forget to make room for the Savior. One way that we can make room for the Savior and help to light up the world is by serving others – especially those who are less fortunate than ourselves. 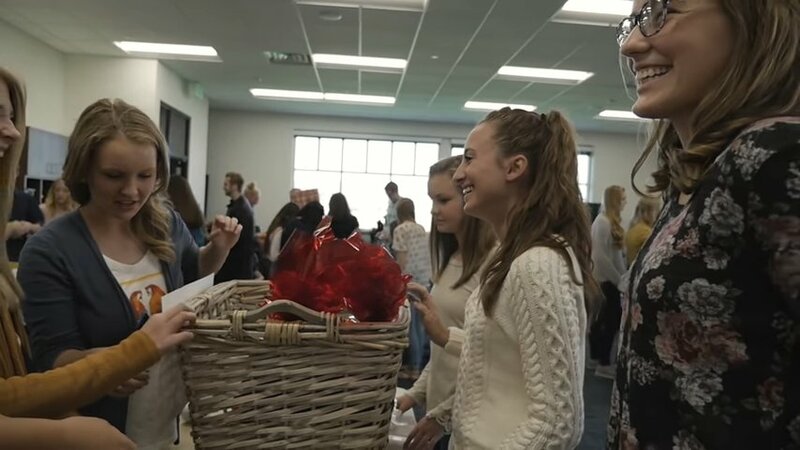 According to a 3 December 2018 press release, young musicians from schools across Utah nominated families they knew were in need this Christmas and then donated goods and delivered them anonymously as part of The Church of Jesus Christ of Latter-day Saints (often mistakenly referred to as the “Mormon Church”) #LighttheWorld initiative. The gifts were also funded by the students themselves. 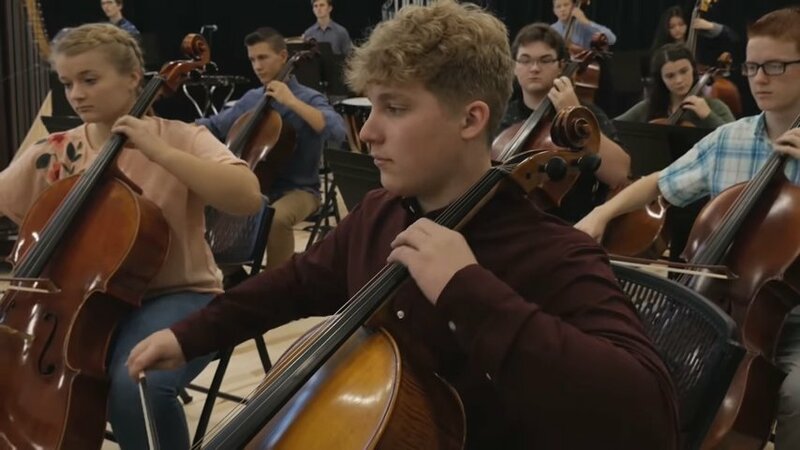 The acts of kindness and service were captured in an awe-inspiring video, “In Wondering Awe,” which was released on 3 December 2018, on the Lyceum Philharmonic at American Heritage School’s YouTube channel. This video is the third in a series of Light the World videos released by the Lyceum Philharmonic at American Heritage School in American Fork, Utah. Other releases include Candlelight Carol and Ave Maria featuring Lexi Mae Walker. The video includes scenes of the students figuratively sending their lights into the world at the Lantern Festival, as well as, scenes of the group delivering gifts of love to people from different walks of life who are facing difficult circumstances this Christmas season. Families served included a pregnant mother undergoing cancer treatments with two young children at home, a widow of 15 years who just lost her best friend and roommate, a young family (children ages 2, 7, and 8) who just went through a painful divorce, and two families with children at home who recently lost a parent to cancer. Christmas is the time of year when we remember the birth of the Lord Jesus Christ – the Savior and Redeemer of the world. It is His birthday, not ours, and so our focus should be on Him, and not our own selfish desires as we wonder if we got that one special gift that we asked for. Jesus Christ – the Son of the True and Living God – the Light and the Life of the world – is the best gift given to humanity by the Father Himself. He gave to the world His Only Begotten Son. There is no GREATER GIFT. We demonstrate His infinite love for us as we lose ourselves in the service of others.